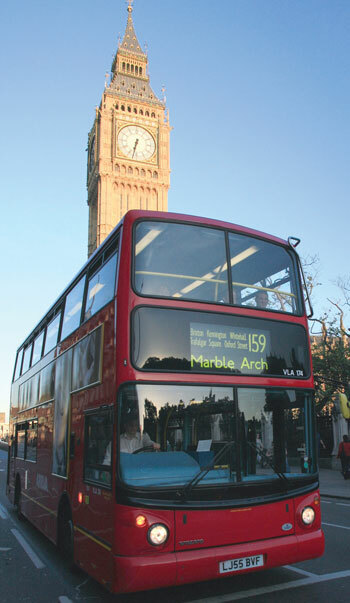 Twenty English authorities have been awarded £40m to retrofit older buses to meet emissions standards. The cash comes from Clean Bus Technology Fund, which was launched in last year. Speaking at the UK Bus Summit on Thursday (8 February), newly-appointed transport minister Nusrat Ghani set out how the money will allow councils to retrofit older vehicles with technology to reduce tailpipe emissions of nitrogen dioxide and meet minimum emissions standards. She said: ‘Buses and coaches are hugely important to those who rely on them and to the communities in which these people live and work. ‘Road transport is going to change dramatically over the next couple of decades – and we have to make sure that the bus industry is ready to benefit from those changes. Ms Ghani explained that ministers had originally invited authorities to apply for £30m now and £10m in two years’ time but have made the full amount available now to fund two-year projects, following a large number of strong applications for the first round and in order to start realising the air quality benefits as quickly as possible. Ms Ghani also said she wanted to use last year’s Bus Services Act ‘as a way of encouraging authorities and bus companies to make services more attractive, and create a shift away from car use’.